Doctor Who: Regeneration and The War Games | Warped Factor - Words in the Key of Geek. 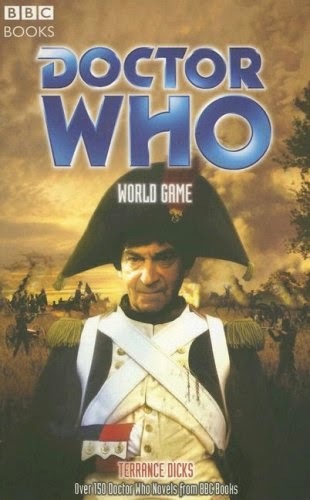 Christopher Morley looks at The War Games, the Second Doctor's final adventure..... or was it? 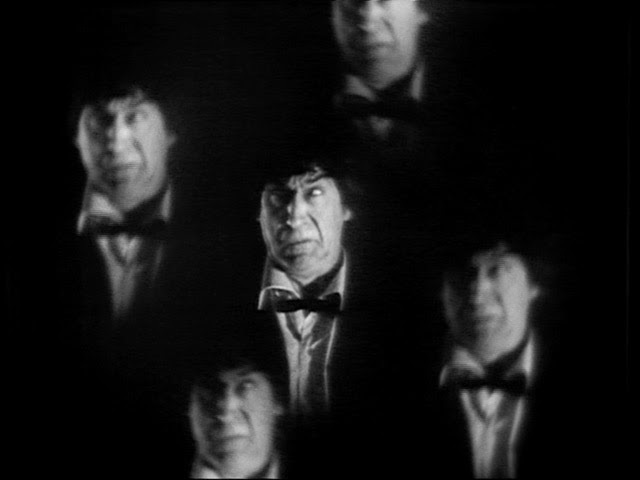 As regenerations go, few can be shrouded in as a big a degree of mystery as that of the Second Doctor! ZOE: Where are we? Earth? DOCTOR: Well, it looks like it, Zoe. Come on. He's evidently thrilled to be witnessing an era-defining conflict, as he whistles a little tune to himself while picking his way through. It's A-Hunting We Will Go, and the Doctor does indeed eventually find what he's hunting for- a clue as to which point in Earth's history the TARDIS has deposited them in. ''We're back in history, Jamie. One of the most terrible times on the planet Earth.''. Crumbs! As he explains things to his Scottish buddy- ''Well, it's trench warfare, you see, Jamie. These trenches stretch right the way across the continent of Europe.'' They find themselves in the middle of ''The War to End Wars.'' Not that that stops an attempt to get back to the TARDIS before the Germans respond to bombardment! SERGEANT: What do you think you're doing? DOCTOR: Our transportation is over there, you see. We're trying to get to it. SERGEANT: Over there? There's nothing over there but Huns. Anyway, the Major wants to see you. DOCTOR: Oh, we don't want to bother him. I'm sure he's very busy. SERGEANT: Come on! You too, ma'am, if you don't mind. But it would seem this is not the only battlefield in the vicinity, as an enquiry into Jamie's Highland heritage hints. BARRINGTON: I see. May I ask you what you were doing there? DOCTOR: Trying not to get killed. BARRINGTON: I see. You're a Highlander, aren't you? Why aren't you with your regiment? JAMIE: Regiment? I'm not in the army. BARRINGTON: Are you a deserter? JAMIE: No, of course not! ...Soldiers from different eras of time have been gathered into War Zones resembling their normal environment to fight simulated battles- the survivors will be shaped into a sort of ultimate army by the War Lords. They're being helped by a rogue Time Lord known only as the War Chief! He's been supplying SIDRATs ( similar to TARDISes) to enable the Lords to transport soldiers. And eventually both he and the Doctor will stand trial after the chap in the bow tie calls in the Time Lords by means of a hypercube (later also seen in The Doctor's Wife). It's the beginning of the implied end! TIME LORD: Here is your first choice. DOCTOR: Oh he's too old! Well he's too fat, isn't he? No, he's too thin! That one's too young. !Oh now, that won't do at all. It's ridiculous! TIME LORD: You're wasting time, Doctor. DOCTOR: It's not my fault, is it? Is this the best you can do? I've never seen such an incredible bunch. TIME LORD: Since you refuse to take the decision, the decision will be taken for you. At which point he spins away into a void and gets a bit giddy. Season 6B, here we come! Terrance Dicks, co-writer of The War Games alongside Malcolm Hulke, would later contribute World Game to the canon of Past Doctor Adventures novels. This maintains that instead of changing face straight away, the Second Doctor was in fact offered the chance to work as a Celestial Intervention Agent. His first mission? Stop the Players from changing the course of the Battle of Waterloo and adopt a nice Napoleon-ish military uniform as a disguise in the process! Following that he must thwart Dastari & some nasty Androgums by way of a second assignment. "Infernal cheek. I shall complain when this is over." Along the way he'll run into his future self in The Two Doctors, who'll be in a roughly similar corner of time and space during Players, having survived a traumatic reliving of earlier events. ''But I, I had a clarinet. Or was it a flute? Something you blew into.'' What days those were! We continue the Season 6B story here.